Bloomingdale's Best!! 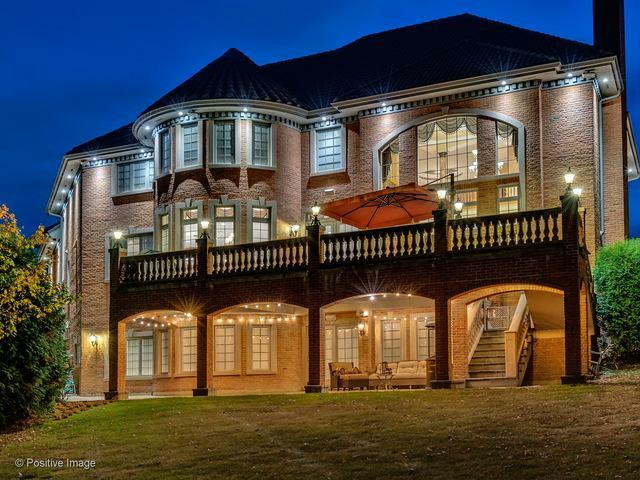 !Magnificent Waterfront ~ All Brick Mini Mansion Will Wow You!! !Paver Circular Drive! !with 5 Bedrooms & 7 Baths!! !This Custom Solid Built Home is Perfection!! 9,000 Sq FT of Living Space!! Ultimate Luxury & Distinctive Design!Clay Tile Roof! !From Top to Bottom with the CUSTOM LEADED GLASS ENTRY DOORS & THE Finest Millwork Thru-out!!! From the Grand Foyer to The 28' Great Room!!! All Custom Lite Fixtures! !Gourmet Granite Kitchen with Top Of the Line Appliances! Island/Breakfast Bar, Custom Cabinets Galore!!! Walk-In Pantry! !Massive Blue Stone Terrace Overlooks Peaceful Pond!! Master Suite Has Huge Walk In, Whirlpool & Steam Shower!! All Upper Bedrooms are En-suite w/Walk Ins!! The Amazing Walk Out Basement Features a Spa Room with Hot Tub, Home Theater w/Retractable Screen & TV. Bar, 2nd Kitchen, Game Rooms, Door to Gorgeous Covered Patio!! !Zoned Heating/Cooling!! 10 Flatscreen TV's Included!! !Some Furniture For Sale! !